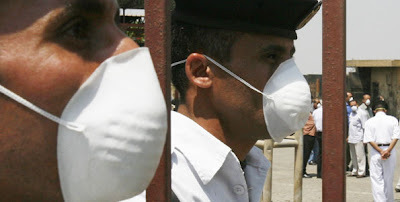 I was not surprised by the last April decision of the Egyptian government to slaughter 300.000 pigs in response to the Swine Flu epidemics (now officially branded a pandemic). What else would you expect from a government that uses religious zeal when it suits its interests and denounces it when brandished by its opponents. Let us not forget that it was the ‘secular’ regime of Mubarak and not the radical Muslim Brotherhood that imprisoned the blogger Abdel Kareem Nabil Suleiman for anti-religious comments. The move was clearly motivated by religious prejudice and possibly, according to some commentators, by ulterior motives of a social and financial nature. There was no scientific justification for it and no other country, including those with Muslim majorities, followed suit. The United Nations condemned the move as a ‘mistake’ and even went through the effort of relabeling the virus as A(H1NI) to prevent confusion as to the mode of transmission. But no one in Cairo was listening. A few weeks later the UK media were outraged at the treatment of a British family holidaying in Egypt. Mum, dad and the children were quarantined under armed guard for merely having Mexican stamps on their passport from a recent holiday. The Egyptian public, reassured by the highly visible measures put in place by their authorities, were led into a false sense of security. That is until earlier this month the Health Minister, Hatem El-Gabali, confirmed that the first case of H1N1 was diagnosed in an American girl of Egyptian origin. A few days later other cases were confirmed at the American University Hall of Residence in Cairo as well as in the coastal city of Alexandria. The Minister did not mention pigs, local or foreign, and seemed to emphasise that his government was working in line with the WHO and introducing monitoring measures similar to ones already tested on an international level. Finally some reasonable behaviour; but how do you reverse a myth when you are responsible for spreading it in the first place? Reading excerpts from GlobalVoicesonline it seems that the mindset of some in the Egyptian Blogosphere has not shifted. Talk of cleanliness (again in a religious context) and ‘Terror and Panic’ is rife, mixing information on the discovery of cases of Bubonic Plague in nearby Libya (A bacterial disease communicated through flea bites associated with rodents) with the spread of Influenza A (H1N1) which is an Airborne virus transmitted in the Air by coughs and sneezes in addition to other human bodily secretions. Obviously the pandemic is to be taken seriously as the winter months will reveal its full extent and severity. In addition, the Egyptian reaction can be understood in the context of the effect of ‘Bird Flu’ in 2006 which they struggled to contain and which caused the death of around 70 in the country. But what the Egyptian people deserve is a response driven by International scientific consensus, not by superstition and a political agenda. One would expect the educated blogosphere to be pressing for such an approach instead of dowsing off to the ‘Opium of the People’.